Marking the launch of a new twice-yearly journal celebrating committed creativity in art and life, a unique evening of readings from work of enduring value by a highly distinguished line-up of writers, artists, doctors and film-makers. Ranging widely across art forms and human activity, Artesian seeks a dynamic dialogue between disciplines and between art and experience. Produced in a limited and numbered edition, and with a keen sense of the place and purpose of making, Artesian will be available tonight for sale and special subscription in association with Second Run dvd (www.gotogetherpress.com www.secondrundvd.com). 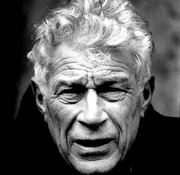 John Berger is currently considered a "single author." If one or more works are by a distinct, homonymous authors, go ahead and split the author. John Berger is composed of 4 names. You can examine and separate out names.